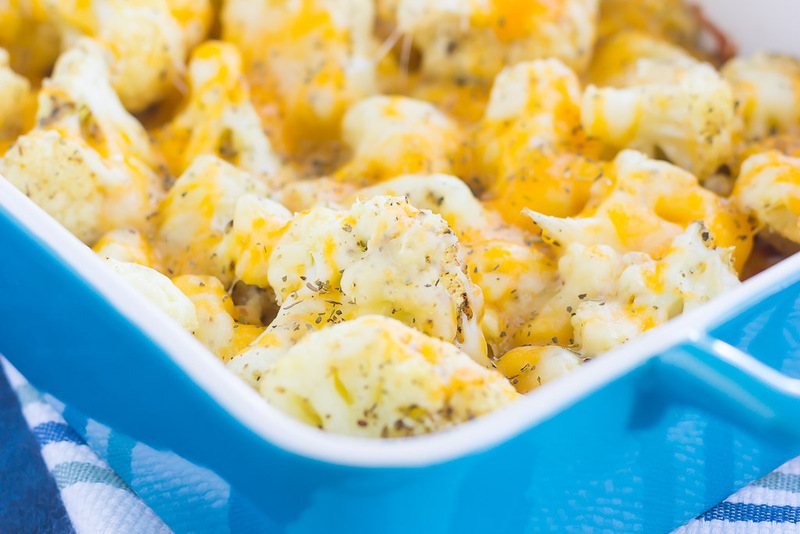 This Baked Cheesy Cauliflower is delicious way to jazz up your favorite veggie. 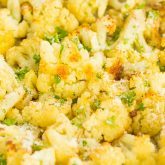 Cauliflower florets are drizzled with olive oil, a blend of seasonings, and topped with two kinds of cheese. 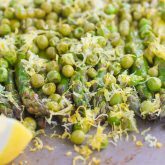 Baked until tender and oozing with flavor, this easy vegetable will quickly become a new mealtime favorite! I know, that’s sort of a no-brainer, right? Cheese makes everything better and I’m sticking to it! I’m not picky when it comes to veggies. I like most everything, especially if it’s seasoned or roasted until crisp. Now, the hubster, that’s a different story. While he does like vegetables, he is pretty picky. Broccoli and cauliflower are a no-go for him, which means that we don’t eat it all that often in my house. Or, if I get the urge to make it, I end up eating it all myself. Not a bad thing though, right? But, add some cheese, and even the hubster likes his fair share of veggies. Cheese just seems to have magical powers, at least in my mind. The more cheese, the better! Cheddar, mozzarella, brie, feta, gouda, gruyere, havarti…I could go on and on. So, I’m sure you can probably guess where I’m going with this. 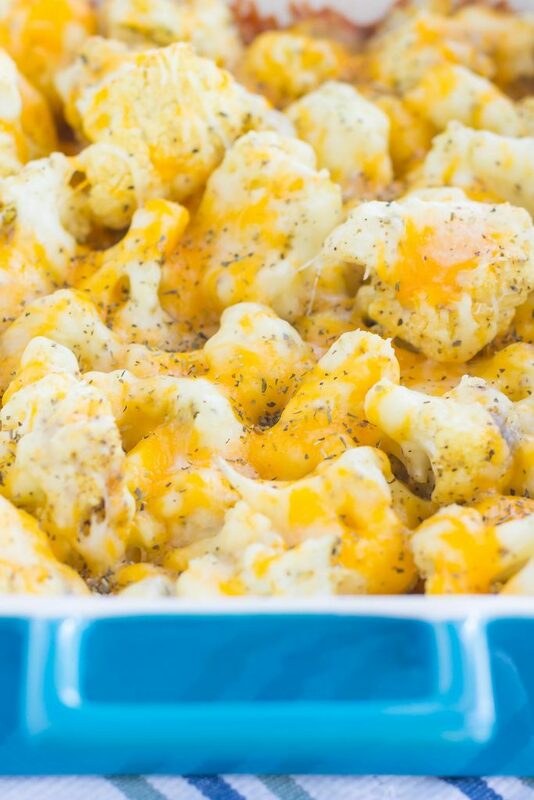 If you’ve never had cauliflower with cheese before, then you’re totally missing out. And if you have, isn’t it the best? 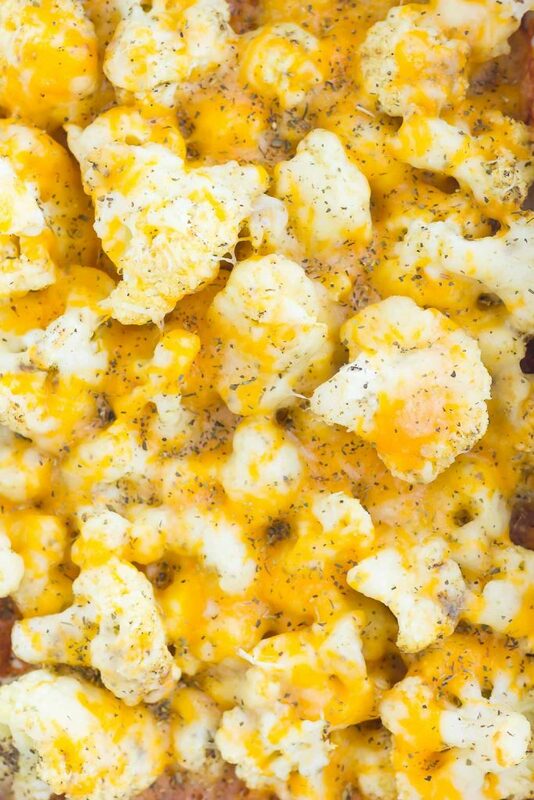 This Baked Cheesy Cauliflower is my new favorite way to eat this veggie. Not only is it smothered with mozzarella and cheddar cheeses, but it’s also tossed with garlic and Italian seasonings. My two favorites right there, friends. And just incase you’re wondering, yes, the hubster loved this cauliflower. He even had a second (and maybe third) helping. It’s just that good. Aka: cheese is magical. It’s important to make sure the cauliflower florets are coated in olive oil to help it achieve that tender, yet crisp texture. The more cheese, the better! This recipe is extremely versatile, so feel free to use your preference of cheese. 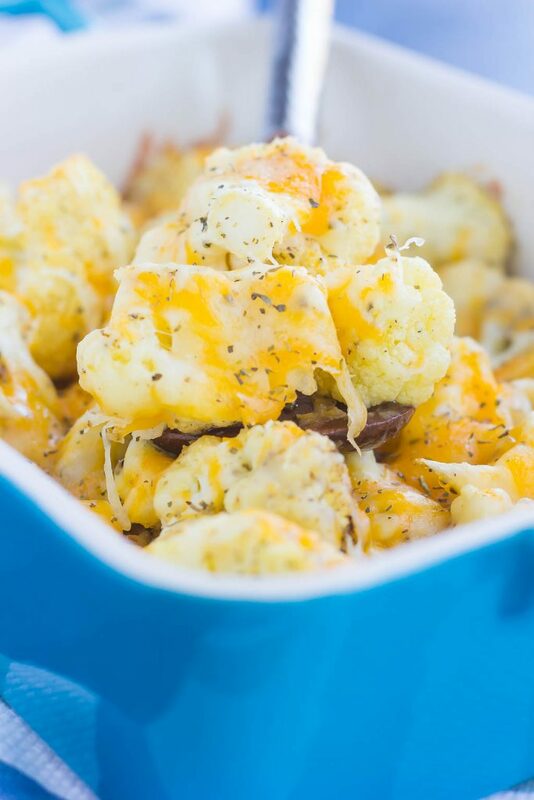 So if you’re looking to give that plain cauliflower a makeover, this Baked Cheesy Cauliflower is sure to be a winner! Subscribe to my YouTube Channel to see how easy this Baked Cheesy Cauliflower is to make! 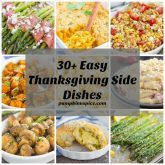 Looking for more easy vegetables? I’ve got you covered! Preheat oven to 425F. Lightly grease a 9x13 baking dish or pan with non-stick cooking spray. Set aside. Place cauliflower florets into a large bowl. Add olive oil, garlic powder, Italian seasoning, salt, and pepper. Stir to coat, making sure each piece is covered. Spread cauliflower in an even layer in prepared dish. Bake for 15 minutes. Turn cauliflower over, top with cheeses, and bake for another 12-15 minutes, or until cauliflower is lightly golden. Looks perfect! I need to remember this for my non-veggie-loving husband! I love cauliflower. Actually, both hubby and I do and hubby can eat cauliflower and broccoli (and pretty much every other veggie) every.single.day . I'm totally with ya...cheese does make everything better. I love that you used a combination of cheese here. This would make a delicious side, but I could probably make a meal out of just this and some toast :) Pinned, of course. Hope you have a fantastic weekend, my friend and happy upcoming St. Patrick's Day! I could definitely make a meal out of jut this too, and toast sides like the perfect side! Thanks so much for the pin and sweet comment, Dawn. Happy St. Patrick's Day to you, too! I love cauliflower, and cauliflower LOVES cheese. This is my favorite thing!!! Plus it's ridiculously cold here right now so I could use some cozy pick me up food. This is one of my favorite comfort side dishes...cheese makes everything better, right? :) Thanks for the sweet comment! You know what, I need to try your trick (just add cheese) to chickpeas. They are the only thing I just can't get Boy to love. Although if I get him to love chickpeas, I won't be able to hoard all the hummus to myself. ;) Anyways, cauliflower has got to be one of my all time favorite veggies, so these are definitely calling my name, Gayle! I mean, ALL THAT CHEESE!!!! Yaaaaahhhs! I haven't had breakfast yet, and I big 'ole bowl of these cheesy florets sound just perfect. I mean, veggies are acceptable for breakfast yet? And cheese is dairy... so I'm thinking THESE for breakfast = winning! Pinned of course! Cheers, friend! Haha my husband doesn't like chickpeas either, but I'm not sure that he would eat them with cheese! :) Thanks for the cauliflower love, friend! Ooh la la!! Obviously I've always known that cheese is magical, but for some reason, I never add it to veggies and I think that would help my husband, too! He is definitely not into cauliflower... BUT I feel like a lot of it is a) in his head and b) part his desire to have a few things he refuses to eat since I've basically converted him into eating almost all foods! In any event, I want to try this even if I'm the only one eating it!! Haha sounds like your husband and my husband are very similar! Cheese might just help! :) Thanks for the sweet comment, Sues! Haha, yes! Cheese and chocolate make everything better! I actually roasted some asparagus yesterday and sprinkled with parmesan, and my 4 year old told me that that was a good way to get her to eat the "green stuff". Lol. You are definitely on the right track with this dish! Is true! Cheese does make everything better, just like bacon! ???????????????? 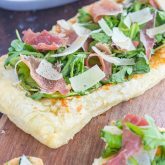 I'm loving this recipe! I'm a huge fan of roasted cauliflower but throwing a bunch of cheese into the game changes EVERYTHING! This has GOT to be on my dinner table tonight, Gayle!! It's true...add cheese and veggies instantly become more appetizing to picky eaters! I for one will eat them either way, but adding cheese is never a bad thing in my opinion! I'd easily eat this entire batch myself! Thanks, Marcie! I'm the same, I'll eat anything without cheese, but with it, it make it even better! I don't mind cauliflower on it's own - but cheese definitely makes everything better! Great way to sneak in a few more veggies. Love that video too!